A Propel Leader is a woman who leads a Propel Chapter. Whether you want to develop your own leadership, lead a group of peers, build up your church’s women’s ministry, or mentor others, this network provides you with the tools, training, and connection with like-minded women to help you lead effectively in your sphere. Here are some different ways women are leading Chapters in their sphere. 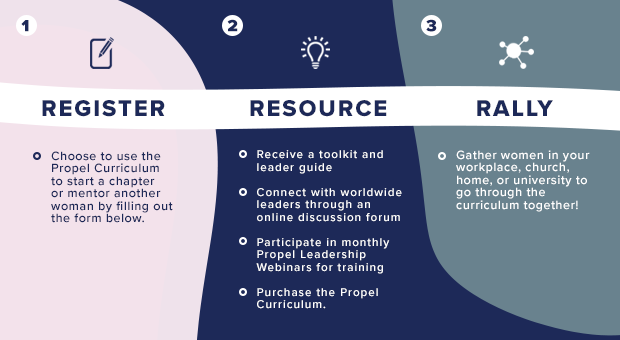 Ready to register yourself as a Propel Leader?